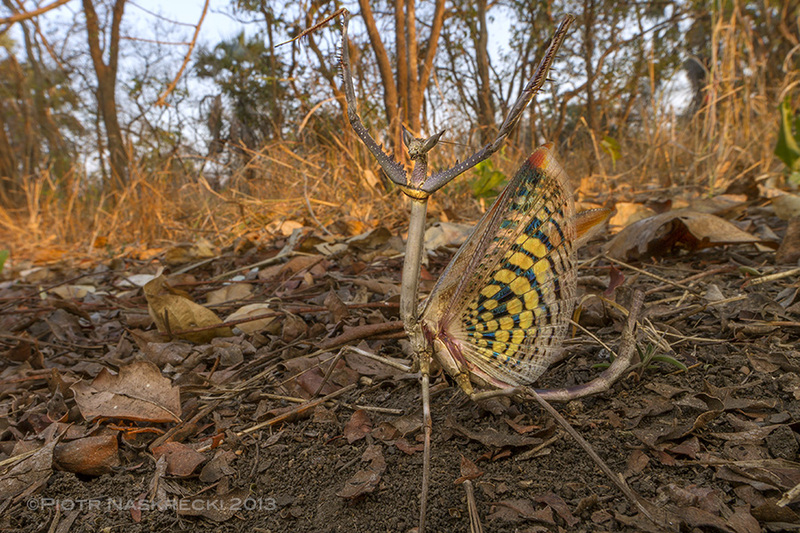 Arriving in Gorongosa National Park in Mozambique at this time of the year, when the grasslands are bone dry and green has all but disappeared from the color palette of this immense ecosystem, I did not expect to see too many insects. Sure, there will always be ants and a bunch of grasshoppers, but the bulk of the insect fauna pretty much disappears until the onset of rains in November. The nights are quite cold when the atmosphere is devoid of the buffering layer of humidity and consequently few insects are active around the lights of the camp. But those that do come are often stunning. Some of the first animals that I spotted when I resumed my nightly patrols around the lights of the Chitengo camp were huge praying mantids Heterochaeta orientalis, whose head morphology immediately brought to my mind a scrawny, long-eared house cat, and that’s what I decided to call them. The Cat mantids are probably some of the largest in Africa, with the females’ body length approaching 20 cm. Males are about 15 cm long, which still makes for an imposing insect. Despite his huge size, a Cat mantis is virtually impossible to spot in its natural setting of bare branches in the dry woodland savanna of Gorongosa. 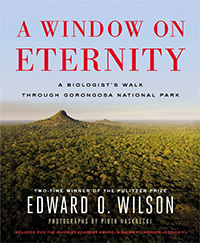 Little is known about this species’ biology. 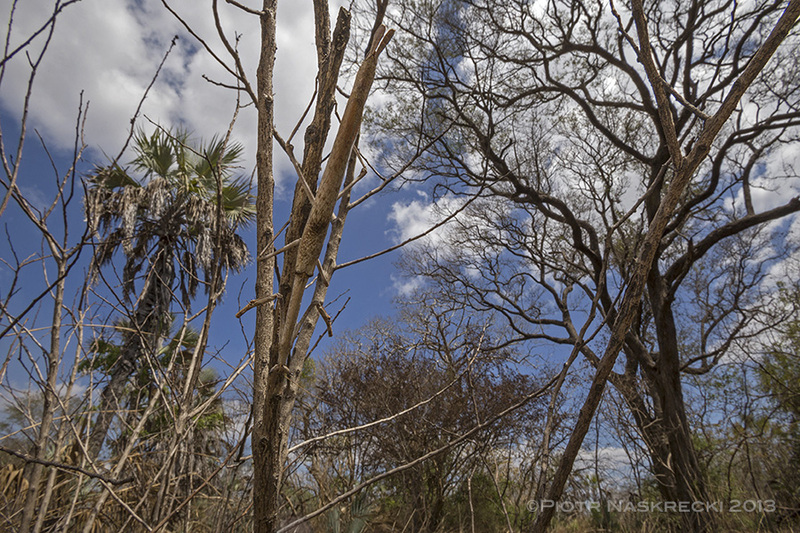 I have always found Heterochaeta on tall shrubs and bushes in the woodland savanna, albeit finding them is definitely not easy – despite their size they are some of the most cryptic insects of Gorongosa. It is enough to take your eyes off an individual sitting on a branch for a few seconds to completely lose sense of its whereabouts. When resting on a branch these insects hold their long raptorial legs outstretched to the sides in an uncanny resemblance of two dead twigs coming off a larger branch, very unlike the typical “praying” stance of other mantids, who tend to hold their raptorial legs neatly folded under the pronotum. The pointy protuberances on the Cat mantis’ eyes enhance the illusion that this animal is just a dead, spiky stick. Clearly, their main defense mechanism is to remain undetected by either predator or prey. While resting on a branch the Cat mantis keeps its forelegs outstretched to the side, enhancing the illusion of being just another dead stick. But in addition to its superb crypsis the Cat mantis has another trick up its sleeve when it comes to avoiding being eaten. When I first tried to pick up one of the individuals that came to the light, it immediately responded by rearing up its body, opening the front legs to reveal a bright patch on the underside, and fanning its wings to flash a beautiful, contrastingly yellow and black pattern. This color combination signifies danger (think wasps and their stingers) and many potential predators may pause before attacking the Cat mantis, giving it time to fly away. The mantis is bluffing, of course, as other than a very weak pinch it can deliver with its long forelegs it does not have any real weapons or chemical defenses. When cornered the Cat mantis rears up to make itself look bigger and flashes beautifully yellow and black hind wings that normally lie hidden under the cryptically colored front wings. Ever since I first came to Mozambique I have been marveling at the praying mantis fauna of Gorongosa, which is the richest that I have seen anywhere in the world. 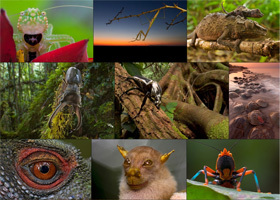 My species list is approaching 50, but the actual number is almost certainly greater. Their abundance is also exceptionally high, and it is not rare for me to get 5-10 individuals of praying mantids in a single sweep of an insect net across the tall grassland. 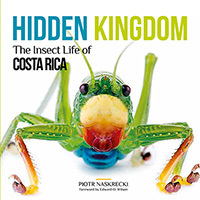 What drives this richness is something that I am interested in understanding, but it may be related to an equally high abundance of orthopteroid insects, the main prey item of many mantids. 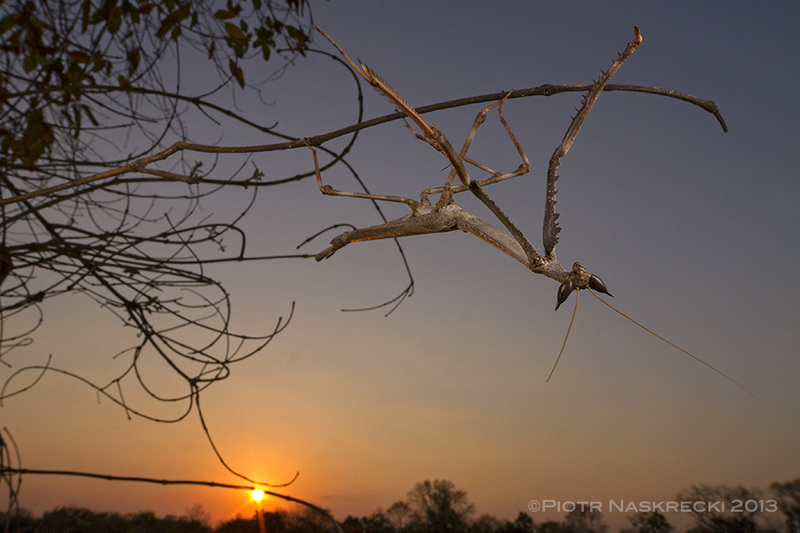 A male Cat mantis at sunset. Are nymphs available for sale? 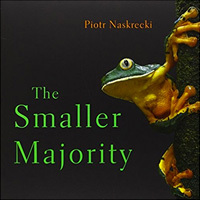 The not-so-small majority? This is a spectacular mantis. That in situ picture is just fantastic. I stared and stared at it, knowing the mantis must be in there somewhere. Fascinating. 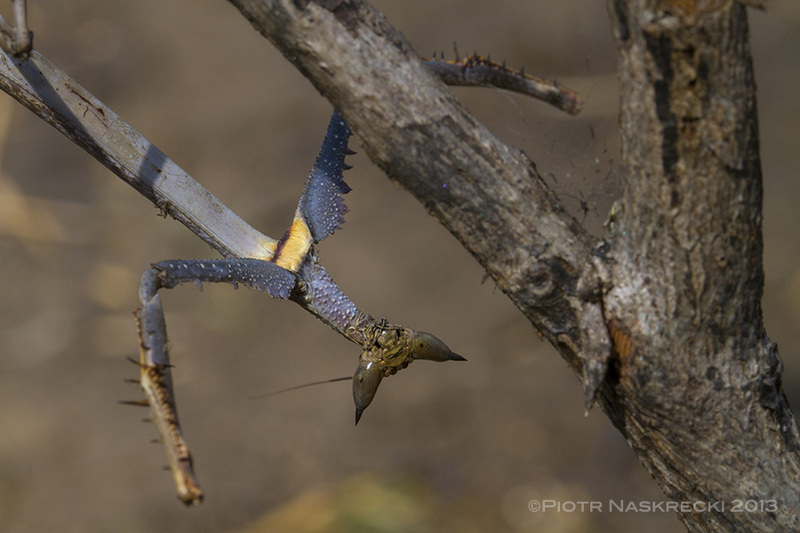 May I also suggest a name… the touchdown mantis! I wonder if the biomass of insectivorous vertebrates is lower during seasons when orthopteroid biomass maximizes, compared to other places. 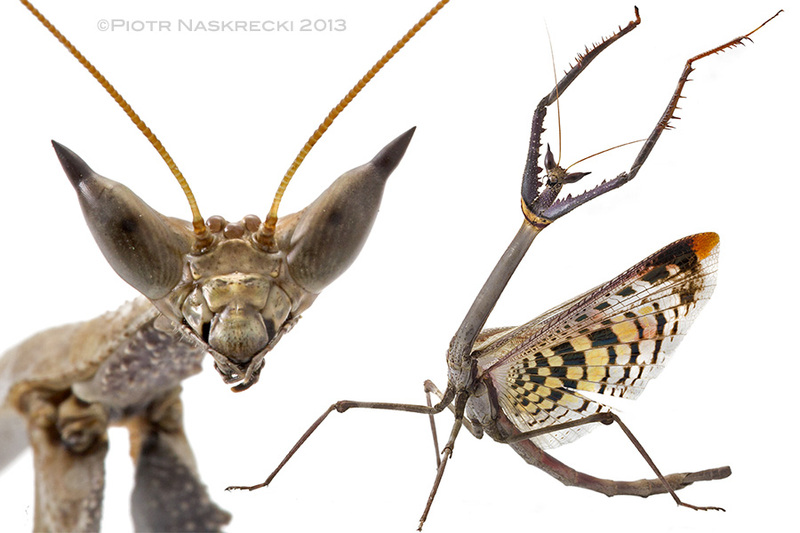 That might explain why mantids are so abundant. Nice bug. The last picture is ultra-awesome! 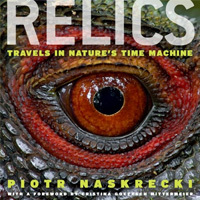 What a gorgeous mantid, Piotr. I love the photo of him displaying in-situ. Your posts are making me giddy about critter-catching in Banhine. Can’t wait.